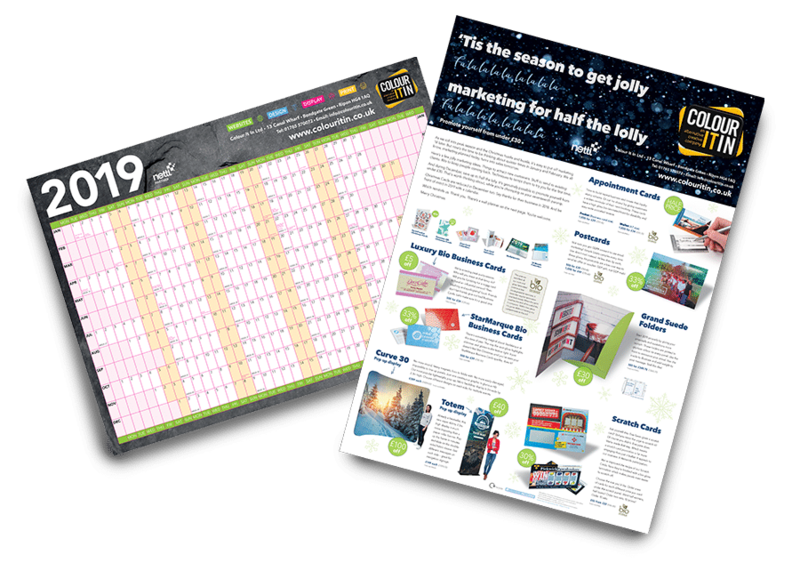 It may be the season to Get Jolly… but as we roll into the peak Christmas Season with it’s associated hustle and bustle, now is the time to start thinking of your marketing for January and February. We all know that marketing today, turns into sales tomorrow. 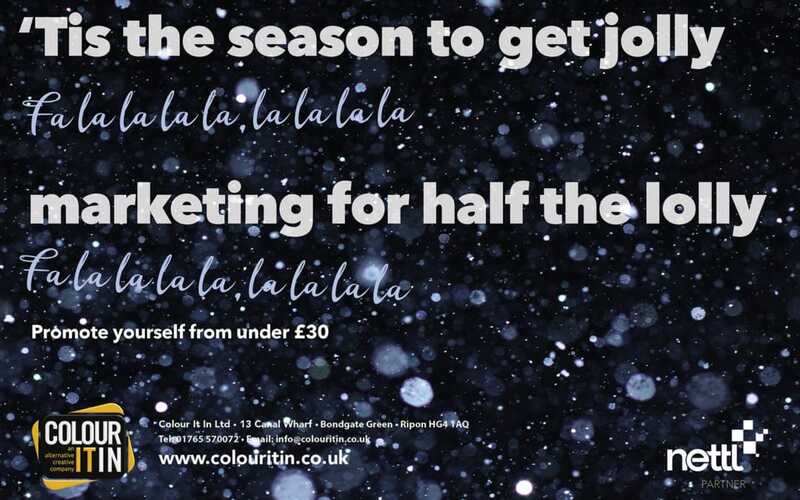 Colour It In has a huge range of products for you to choose from but to help you plan we have pulled together a special selection with some great offers available until 21st December. Build repeat business with our half-price Appointment Cards – NOW £29.00 for 1000. What about some fantastic and simple display products for your next event? Our Curve 30 and Totem Pop Up display systems are brilliant for showing off. No more stupid, heavy systems with the impossible task of trying to line up graphics – No, just bright, seamless fabric graphics, lightweight systems easy to transport, put up and take down… Plus our systems can be printed on both sides!! Double the display area at these prices… We call that a win-win. It’s still not too late for Christmas Cards, Calendars and Wall Planners helping you keep your name in front of your customers for the festive season and beyond. 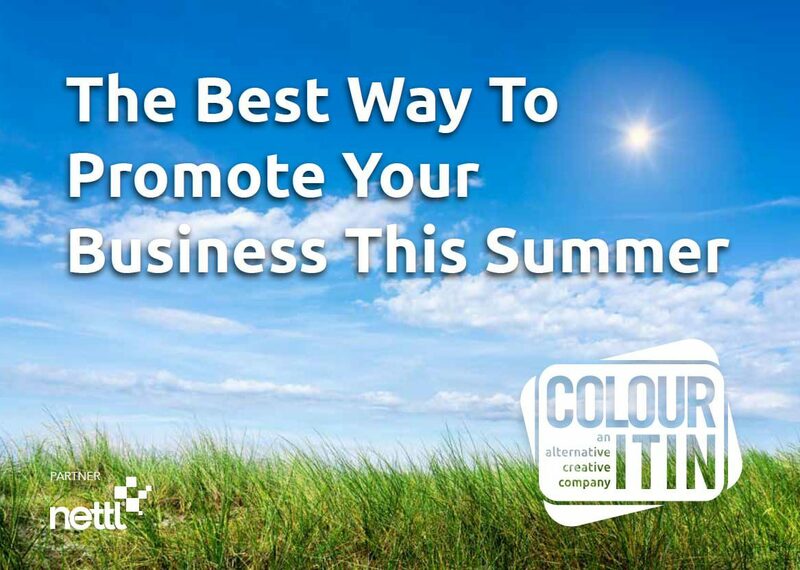 So for half the lolly, you can market your business from as little as £30.00 – Click here to see all of our December Offers. Call 01765 570072 or email info@colouritin.co.uk NOW, get planning and we will help with the printing because some of these prices are half the lolly.